My freezer needs a serious makeover. During a recent excavation I stumbled upon a lost treasure; frozen summer berries. Luckily for me, my kids love to pick berries. Every summer I take them to Patti’s Berries & Bunches and they clean the place out. We come home with bushels of juicy strawberries, blackberries, and raspberries. Whatever they don’t eat gets stashed away in the freezer and is usually forgotten about. For this smoothie, I puréed handfuls of frozen berries with apple cider- that’s my secret ingredient. 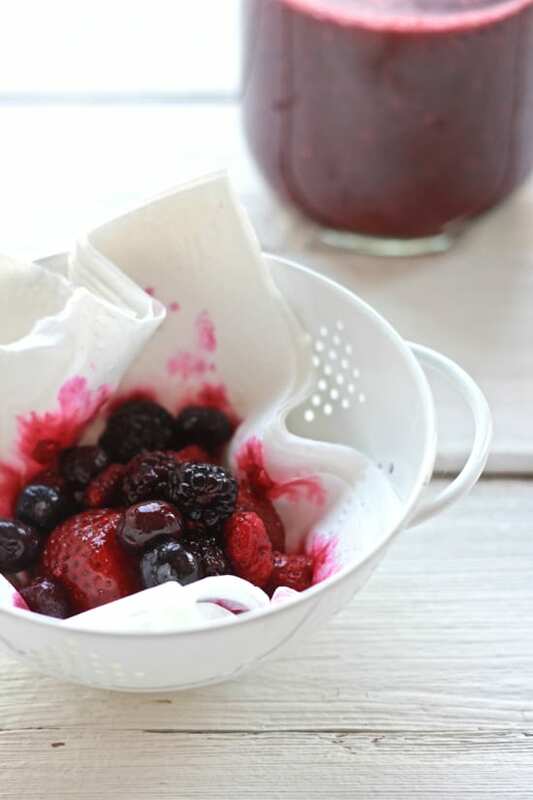 Apple cider sweetens the drink ever so slightly and is a nice compliment to the berries. I also left out the dairy. I can’t even begin to tell you how energized I felt after drinking this. I was so revived and refreshed, that I proceeded to empty out the dishwasher, vacuum the stairs, and fold a mountain of laundry in record time. Then I re-organized my closet. If your freezer looks anything like mine, I feel for you. It’s like the black hole. 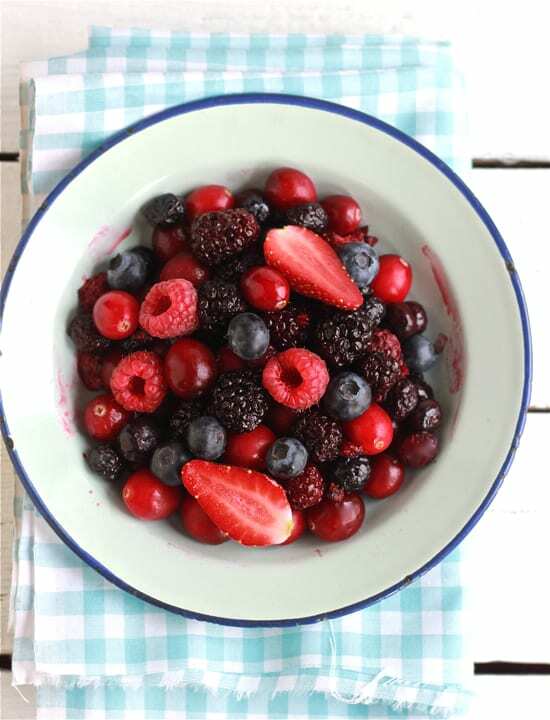 But who knows- maybe you’ll stumble upon a packet of frozen berries yourself. 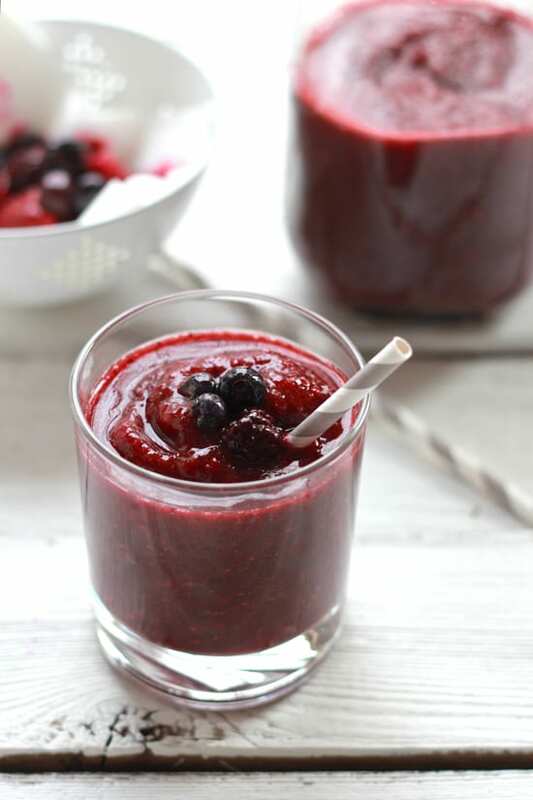 Sometimes all you need is a little smoothie to beat those winter blues. Mmmm..looks refreshing and delicious. It’s so true we forget what treasures might be forgotten in the depths of our freezer. I usually put a just a handfull of berries in a yogurt type smoothie. Looking forward to trying something like this. What kind of apple cider do you use? I use sweet apple cider from Trader Joe’s. Gorgeous! I need to start using my freezer stash of berries. It is the time of year when I get most antsy for fresh tasting produce. This looks awesome. Trying this one tonight. Hi there, this sounds delish. Just checking, is apple cider like apple juice? And it’s obviously non alc? Just want to check it’s not the same as apple cider vinegar and just called different things in different countries? (I’m in NZ). Sorry for a blonde question. Funny to discover your recipe today. 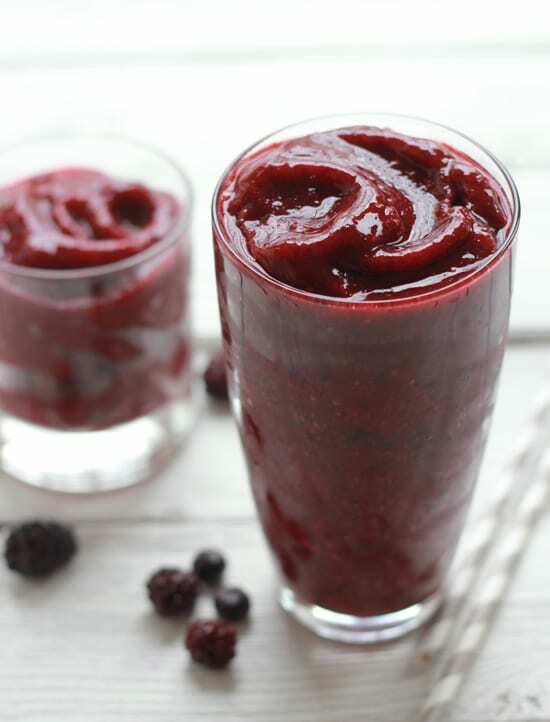 I use the same frozen berry mix, however I also add fresh squeezed lemon juice, a splash of maple syrup and water before I blend it into a yummy treat!